I am here with one more trending fashion this winter , yet another trendy color . 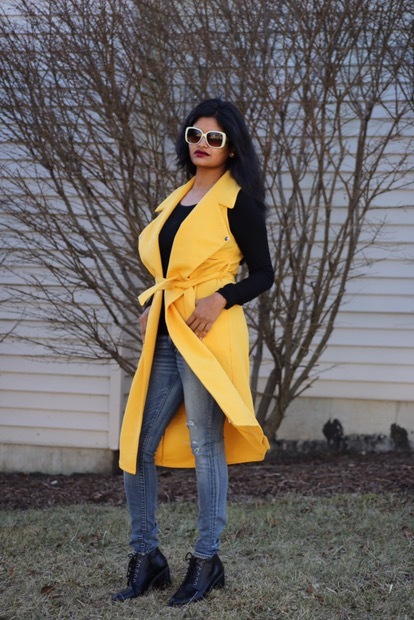 I got this Gorgeous trench coat with SHEIN International Well ! 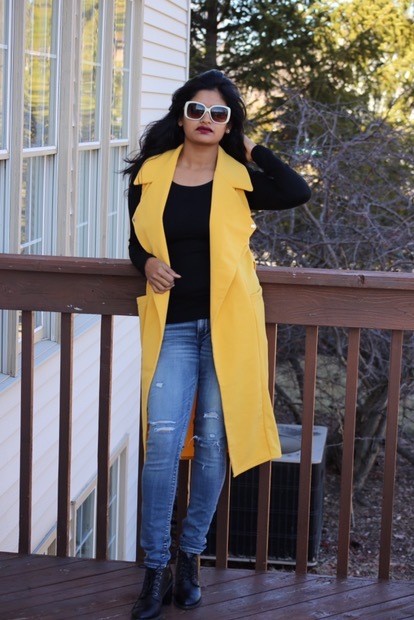 Most of you must have heard about SHEIN. It is an International online shopping store for women. 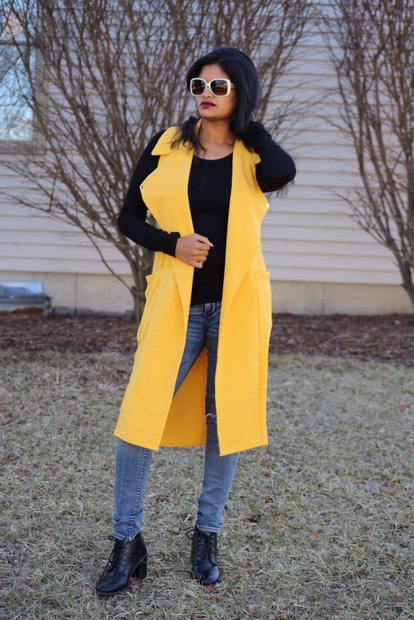 The best thing about SHEIN is they provide very affordable and beautiful pieces that allows our beauty to shine through . 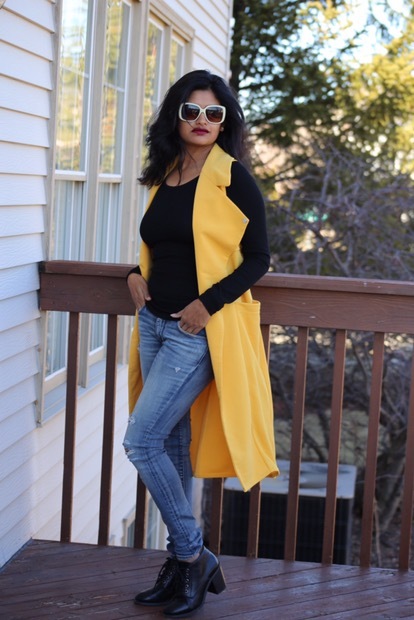 I love to shop in SHEIN as it provides every woman the opportunity to choose timeless fashion in clothing, jewelry, shoes and accessories. They provide International shipping as well , how cool 😎 is that !!? 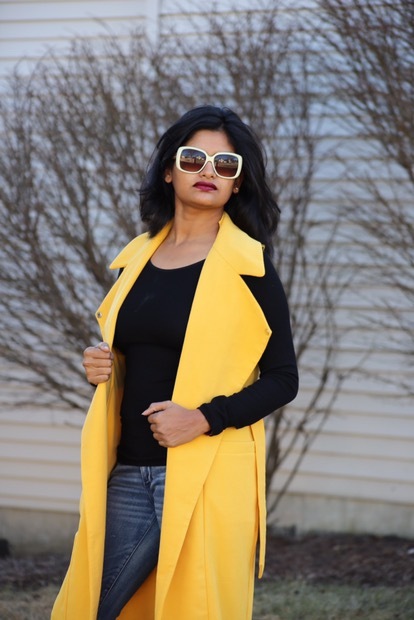 In their tremendous pool of fashion , I chose this Trendy Trench coat which can be a very versatile piece in our closet. 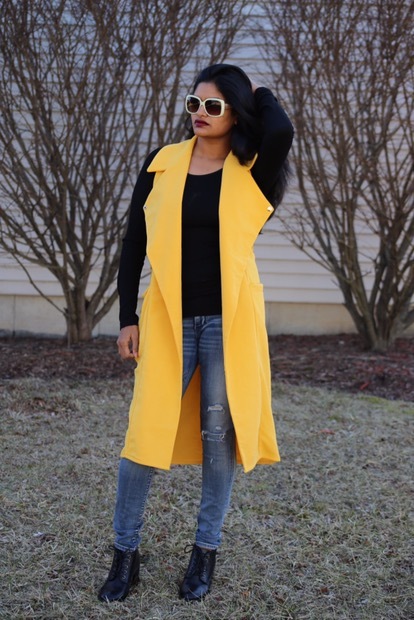 You can always dress up effortlessly with this trench coat because of this fun color. 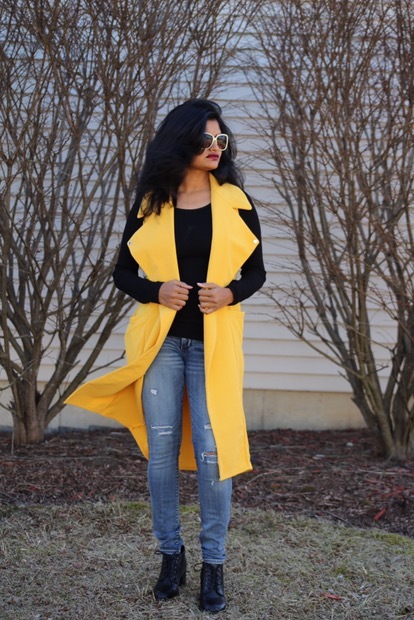 You can brighten up your winters with these kind of fun colors . And the most surprising part when I received this is the material, it is very thick and soft and it can perfectly worn in winters with a full sleeve sweater or shirt . 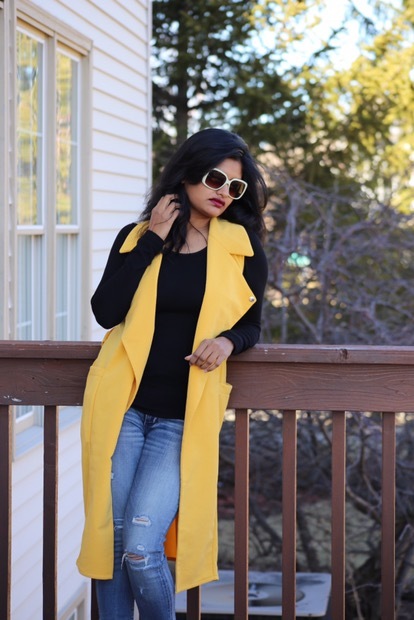 These Trench coats are versatile pieces in closet as you can wear these in Winters , Spring and Fall . As we are approaching Spring, I am excited to style it . Don’t forget to checkout the website to find your style. 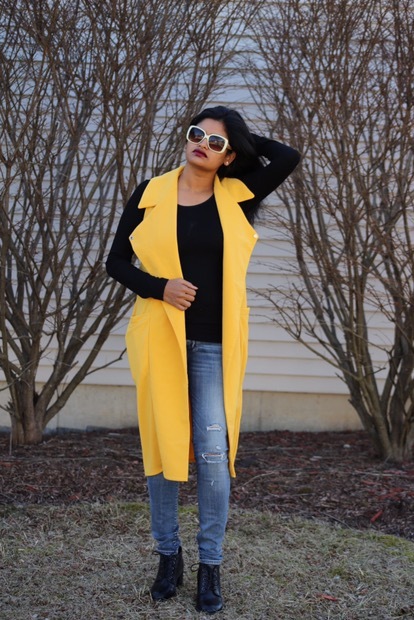 And SHEIN has started their Spring Fever with an unbelievable sale upto 85% . How exciting is that ..! Cant wait to treat myself more with SHEIN clothes . And here’s my look how I styled this winter.!! Liked this look ! Shop it HERE ! Hope you liked my post , see you with another Blog post soon. That’s definitely a versatile piece of outfit babe! Love the shade of yellow! Looks lovely on black!